Rick wrote: Look the zin-zin. Haven't seen that many in one place here since the '90s. Had to go did up this pic for ya Rick. From 2011-12 season. Special Notes: Due to rain couldn't come in our normal way so had to walk a ways in and couldn't get to a spot we could set a well enough spread for puddlers. Waterfowl Activity: We are loaded with widgeon right now, although they couldn't be happier where they are, which was not our spread. Dog(s): Milo, excellent work dealing with the current making many long retrieves. Seems to have forgot his trend of breaking after hunting with my buddies dog that breaks. Rock steady and made for a very pleasant day. Curses: Was only able to get 4 decoys right up to the bank due to current and high water. Did loose a couple birdss to the current, one being a stud widgeon of course. Thanks Olly for creating the log section, has really been a favorite part of my season keeping up with it and looking back. Have really enjoyed the other logs as well being able to see what's up where they are posting from. 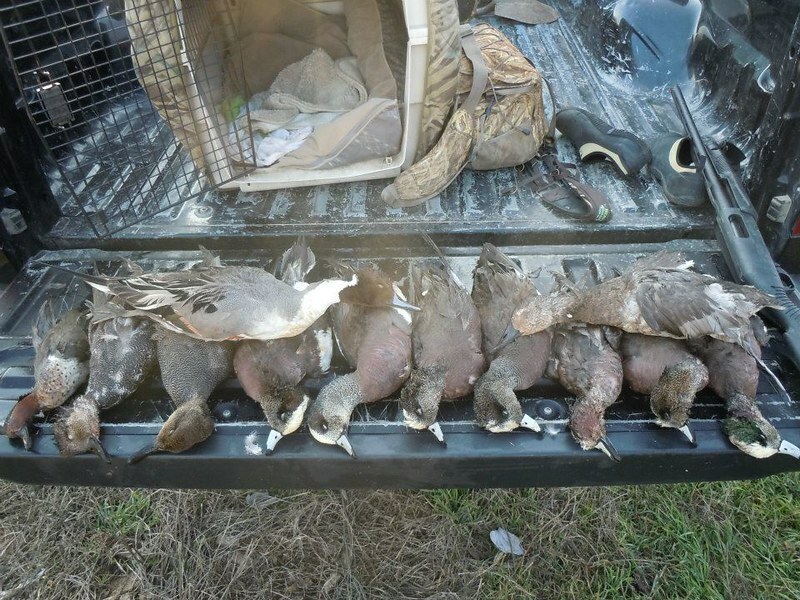 We usually hold quite a few widgeon by end of season. Hard part is being able to get where they want to be. Last day we watched hundreds of them in the air over a private pond about 100 yards away but none would venture from it. .